While you are here for the Big Bend 50, there are some excellent day hikes in Big Bend Ranch State Park that don’t involved a lot of travel. The West Contrabando Trailhead is 6.5 miles from Barton Warnock Center and is also called the ‘West Trailhead’ on the visitor map. Please stop by the Barton Warnock Center and talk to the Rangers about trail conditions and get maps and let them know you’ll be on the trails. This is a short (1.4 mi. RT), pet-friendly hike through a narrow slot canyon. The high walls of the canyon guide you along the way, progressively becoming narrower as the canyon trends towards the river. Because the canyon walls are so tall and narrow, little sunlight reaches the floor and the temperature in the canyon is substantially cooler than out in the exposed desert for most of the day, a great retreat from the summer heat. This site is named for its unique geological features called “hoodoos.” The word hoodoo originated in Africa and refers to strange animal shapes and embodied evil spirits. A short (1 mi. RT), pet-friendly trail leads you to a series of hoodoos, along the bank of the Rio Grande, up an old historic road to an overlook and back to the trailhead. The East and West Contrabando Trailheads are the two main access points to this system. It is made of up of over 25 miles interconnected trails of varying difficulty that expose you to some of the most spectacular natural and cultural landscapes in the park. Educational waysides interpret ruins you’ll see along the way. The Fresno Divide Trail, accessible from the West Contrabando Trailhead, is one of the most popular out-and-back (roughly 6 mi. RT) segments for hiking in the Contrabando system. Along the way you will see stunning views of the Bofecillos Mountains, Fresno Creek, the Contrabando Dome, and the Flatirons of the Solitario. As a hike, this trail offers few challenges and can be easily traveled from either direction. There are many short and long options in the Contrabando System. 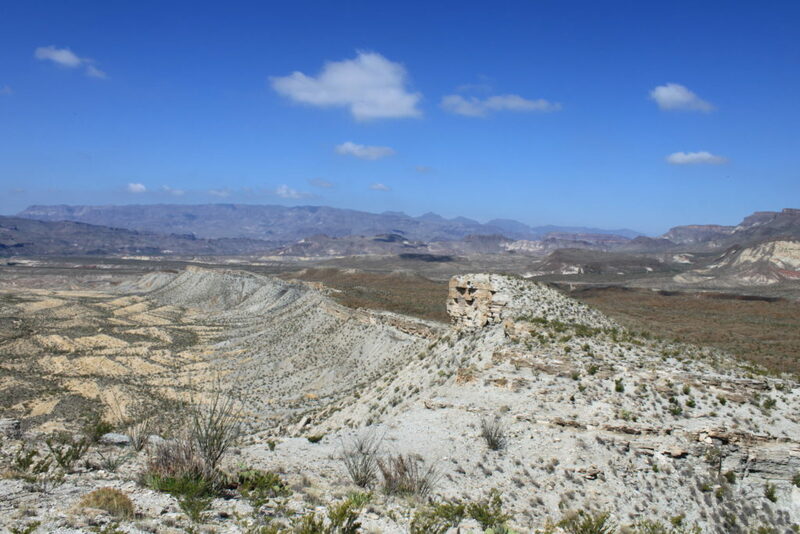 Rancherias is a challenging, 21 mile-long loop. It begins at the East Rancherias Trailhead and ends at the West Rancherias Trailhead. 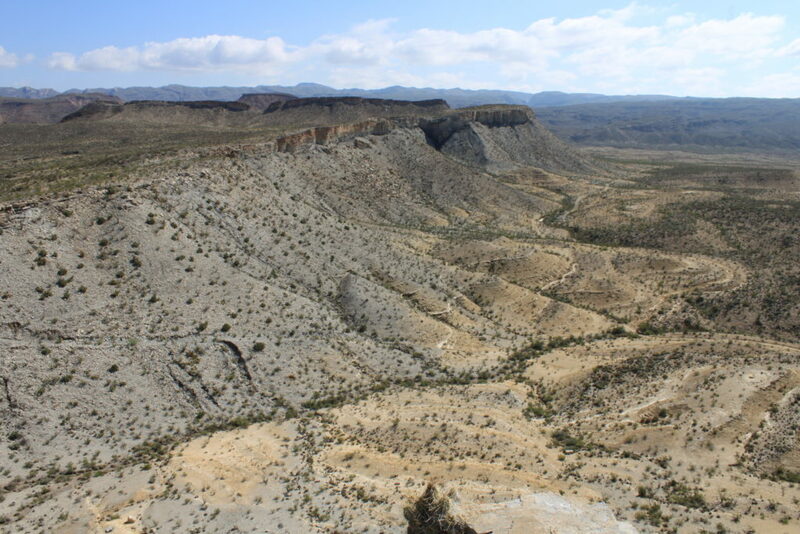 It ascends from lower elevations near the Rio Grande through the rugged canyons of the Bofecillos Mountains. Natural springs with reliable water, riparian habitats and historical-period ruins will be encountered along the way. For shorter options, hikers may go out-and-back from either trailhead. Note that the springs with reliable water is a full days hike away. This is a shorter option to Rancherias Loop. It begins at the West Rancherias Trailhead and technically ends at Rancherias Falls (approximately 5 mi), however as of last winter, the falls were not accessible due to dense vegetation. The first few miles of this trail offer a moderately challenging hike through Rancherias Canyon that lead you to springs that are great for wildlife viewing. The first spring is just shy of about 2 miles and is a good stopping point for an out-and-back of about 4 miles RT.